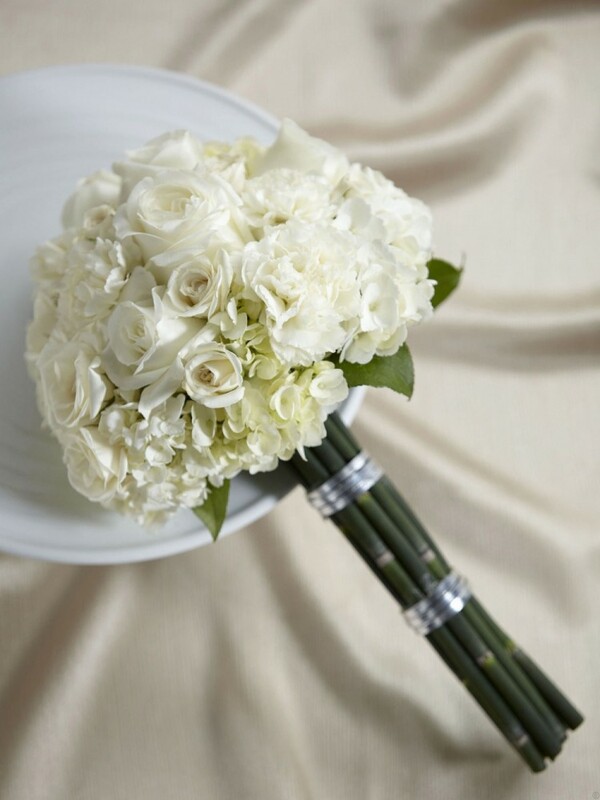 The Perfect Love Bouquet is a soft display of bridal elegance that will complete your overall look. White roses, spray roses, carnations and hydrangea are accented with lush greens and arranged in a rounded compact style to offer texture and interest with its natural grace and beauty. Approx. 15"H x 10"W.